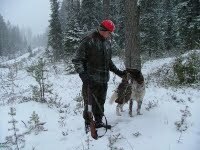 Hunting has become a hobby for many people in the country. There are certain things to be reminded before you go hunting with your friends or even with trained people. As recreational walks in the wild forests has become increasingly popular. In this way people gain first-hand experience of nature and develop positive attitudes towards conservation. Those going on such walks should at least know about the possible dangers involved, so that they will know what to do and not give way to irrational fears. The inexperienced naturalist should at all times be accompanied by an experienced ranger or tracker.